NEW GLOUCESTER, Maine -- Officials at a Maine outdoor center are warning skiers to watch out for an "aggressive dive-bombing" owl that recently struck a man. Pineland Farms says in a Facebook post the owl cut the man's head when it attacked, and neither skiers nor trail groomers have seen the bird since. Pineland says "owls are silent when they strike, so you will not hear it coming." 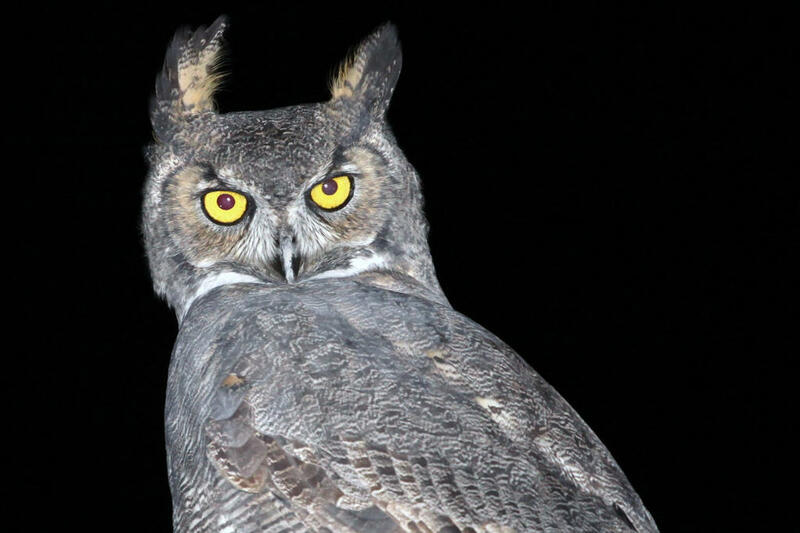 Meanwhile, a spate of recent owl attacks has ruffled the feathers of metropolitan Atlanta's residents. WSB-TV reports there have been at least three instances of owls attacking humans or pets since late December, most recently in the heart of Midtown. Serrita Holt says her Yorkie, Freedom, was killed following a Dec. 23 attack in Henry County. She said the dog sustained puncture wounds to his back and chest. The next week, Deborah Johnson was scratched on her leg and knocked over by a large owl attacking her dachshund in Cobb County. And on Wednesday, Eric Thornton says an owl swooped down as he left his townhouse, cutting his head. Atlanta Audubon Society spokesman Adam Betuel says owl attacks are rare, but recent cold weather might have made younger birds more aggressive.